Who is Griselda Blanco and why is her life story so fascinating? Our Griselda Blanco wiki will tell you everything you need to know about the infamous Cocaine Godmother, who was also known as The Black Widow, along with a whole slew of other fearsome nicknames. You’ll also discover why Griselda Blanco’s net worth was one for the history books, so keep reading! Griselda Blanco is also known as The Black Widow, La Madrina, The Queen of Narco-Trafficking, and of course, The Cocaine Godmother. She has been immortalized in numerous mediums over the years and now, the events of her life are being displayed for us again on screen. Her life and notorious endeavours as one of the most terrifying, sociopathic, ruthless, and murderous Columbian drug lords of all time has been chronicled in numerous books, biographies, and TV specials such as Cocaine Cowboys (2006) and Cocaine Cowboys: Reloaded (2014). Given the immense fascination that has surrounded her pernicious existence over the years, not to mention the astounding net worth Griselda Blanco managed to amass during her lifetime, it’s only fitting that the Lifetime Network would jump on the bandwagon and produce a movie about the seemingly harmless old woman, who just happened to be a notorious drug linchpin. Controversially, the movie, which is called Cocaine Godmother: The Griselda Blanco Story, will be starring Oscar-winning actress Catherine Zeta-Jones in the lead role, who is of Welsh descent. The initial release date of the highly anticipated made-for-TV movie was November 12, 2017 but it will officially premiere on Lifetime, tonight, on January 20, 2018.
Who Is Griselda Blanco & Why Are People So Interested In Her Life Story? The Lifetime Network movie isn’t the only film project that’s in the works when it comes to telling the topsy-turvy story of Griselda Blanco’s life and her ultimate demise. According to reports, there are two other projects that are currently being talked about, one of which will most likely star Jennifer Lopez and the other of which will feature actress Catalina Sandino Moreno. So… why are people so interested in reading and watching movies about this extremely loathed human being? It could have something to do with the fact that she was able to rise above her poverty-stricken and abuse-ridden childhood to overcome the odds in a predominantly male-dominated world…even if that world entailed erecting a dangerous underground drug enterprise that would result in the untimely deaths of more than 200 murders. Born in the small Columbian town of Cartagena in 1943 as Griselda Blanco Restrepo, she was just a small child when she moved to a slum in Medellin with her mother and her mother’s abusive lover. Some believe she was already a criminal-in-the-making as she entered into the seedy world of crime at a very young age. She was just 11-years-old when she committed her first serious crime; she kidnapped a young child from a wealthy neighbouring region and attempted to threaten his life for ransom. When the family was unable to come up with the money, she shot and killed the boy. Thus, her life of crime commenced as she moved on to committing petty crimes such as pick-pocketing and eventually made her way into prostitution. This dangerous trajectory would eventually lead her into the world of drug cartels where she was able to make a name for herself. Ever since she was a child, she had already been rubbing elbows with the likes of Pablo Escobar, who himself would go on to become a legendary and revered drug kingpin. Eventually, Griselda would move her business to the U.S., where she would constantly live life on the run. In the 1970s and 1980s, she was singlehandedly responsible for initiating ‘The Cocaine Cowboy Wars’ in Miami. During this time, drug-related crimes were at an all-time high in Miami and the price on Griselda’s head was so high, that she was eventually forced to flee to California and move her enterprise there as well. It’s estimated that at the height of her career, Griselda’s drug empire had expanded all over the U.S. and that it was bringing in approximately $80.0 million every month. Griselda Blanco was married three times and it’s reported that she murdered all of her husbands in the bloodiest ways possible. Even Griselda Blanco’s sons couldn’t escape the life of crime they were born into. All four of them were involved in her drug empire. Three of them were from her first marriage to Carlos Trujillo whereas her fourth son was from her third and final marriage to Dario Sepúlveda. Her three eldest sons were all killed as a result of drug deals gone awry before Griselda Blanco’s youngest son, Michael Corleone Blanco, even turned 18. (In case you’re wondering, yes, Al Pacino’s character’s name in The Godfather franchise is in reference to him). Griselda was eventually arrested by the DEA in 1985 and was sentenced to 20 years in prison, but was released early and deported back to Columbia where she’d live out the rest of her days. Apparently, following her bust, she tried to keep her nose clean (pun intended) while her sons ran her illicit operations. Of course, her past would inevitably catch up with her. One day, while she was shopping at an outdoor market with her pregnant daughter-in-law in 2012, she was shot twice in the head and killed by a motorcyclist in a drive-by shooting in her hometown of Medellin. Ironically, this was a killing technique she had introduced and perfected in her industry as a means of instilling fear in her enemies over the years. Griselda Blanco was 69-years-old when she died. At the time of her death, it was estimated that Griselda Blanco’s net worth was somewhere along the lines of over $2.0 billion! It is believed that she was able to accumulate such a massive amount of wealth through her national and internationally widespread network of drug dealers, businesspeople, and thugs. She even had the support of corrupt police officers, prison guards, and fellow inmates during her stint behind bars and was able to continue running her business while in captivity. Towards the end of her life, however, Griselda’s health was failing as a result of a lifetime of debauchery, drug use, and failing to take care of her body. That’s why she eventually handed her empire over to her sons, who would end up paying the ultimate price to protect it at all costs. Catch Lifetime’s take on this terrifying powerful drug Queen’s rise to the top and her fall from grace. 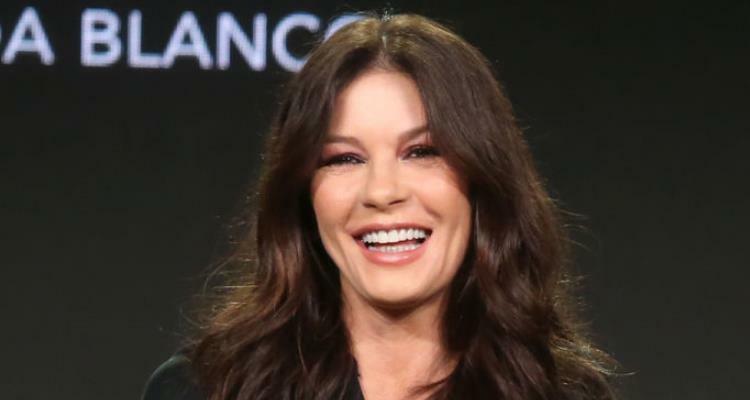 Catherine Zeta-Jones takes on the exciting role tonight, only on Lifetime!